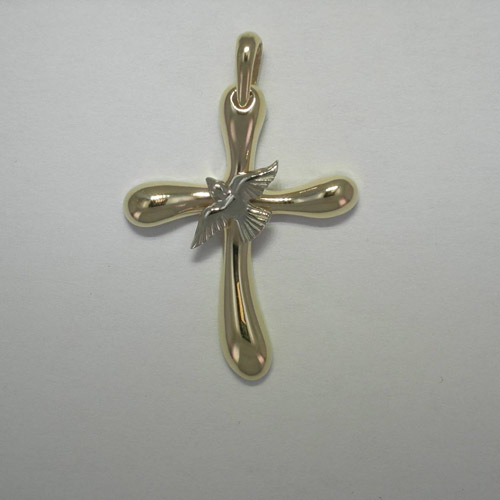 Desc: 14 karat yellow and white gold cross with dove pendant. The cross is fashioned from 14 karat yellow gold and is rounded with curved angles. The bale is fashioned from 14 karat yellow gold. The dove is fashioned from 14 karat white gold and is flying in an upward motion and is mounted in the center of the cross pendant. The pendant has a bright polish finish.